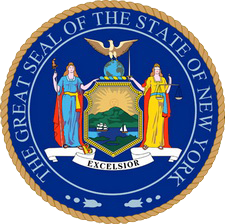 URGENT New York State WARNING – Are Assisted-Openers Now Illegal Switchblades? As if New York wasn’t already a confusing legal and regulatory nightmare for honest, law-abiding knife owners, the highest court in the state just upheld, in a one paragraph opinion, the conviction of a 36-year-old mail-room worker with no priors in possession of an assisted opening (spring-assisted) folding knife that he used in his work under the theory that it was an illegal switchblade knife under New York law. Assisted opening folding knives are widely and routinely carried by millions of law abiding individuals, and given the momentous nature of this decision, certainly affecting hundreds of thousands of pocket knife owners in New York State, a review of the briefs suggests that the seriousness of the issues at stake were not presented to the court. The prosecution fundamentally mischaracterized the nature of the knife as being a switchblade. The significant and fundamental differences between a switchblade and the assisted-opening folder the defendant was carrying as a simple tool were not before the Court. At this juncture Knife Rights must warn anyone living in New York State, or who visits or travels through New York State, that you risk arrest and jail if you carry an assisted-opening folding knife. Retailers within New York State may want to consider their potential criminal liability in continuing to sell assisted-opening knives. PLEASE DONATE TODAY to Support Knife Rights and you could WIN from OVER $160,000 in Prizes!